You'll find the graves of the Starks, Baratheons and direwolves — and hints to what's to come in the eighth and final season. And with the final season, will come the death of many more cherished characters. As George RR Martin has shown us, over and over and over again, no one is safe from his murderous pen (or keyboard) — any character's death is fair game. 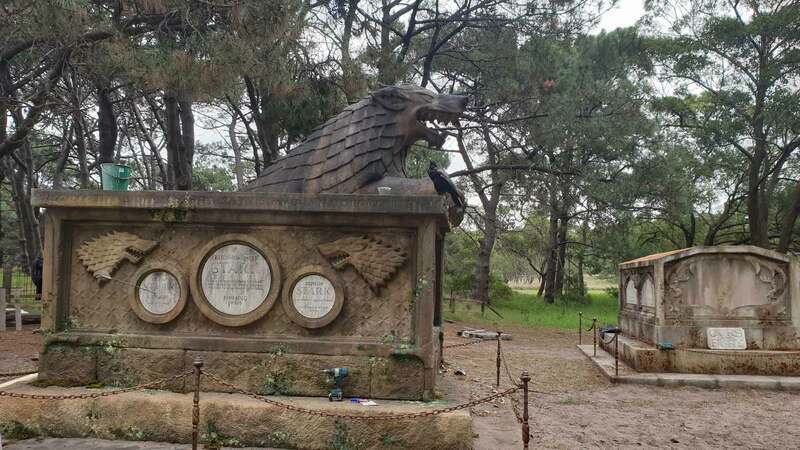 The list of deaths in the first seven seasons is long — longer than even Arya Stark's list — and the fallen are being commemorated in an eery new Game of Thrones cemetery, which has popped up today in Centennial Park. 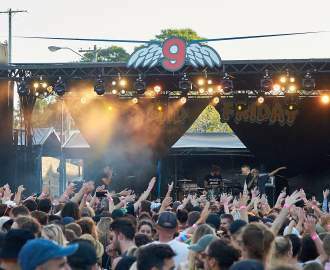 Yes, right here in Sydney. 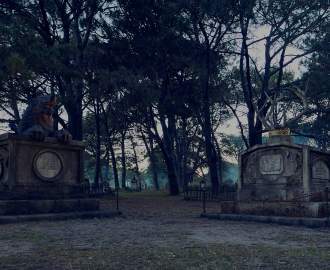 Eight giant graves as well as numerous tombs have been created by Foxtel, ahead of next week's series premiere, in the sprawling inner city park, and each is inscribed with names of who lays inside. There are the fallen Starks: Eddard, Benjen and Rickon; the Baratheons (or should we say, Lannisters): King Tommen and Robert; and the Stark direwolves: Shaggy Dog, slain by Smalljon Umber in S06E09, and Summer, mauled by wights in S06E05. We'll never forget who else died in that latter episode — 'The Door' — either: Hodor. 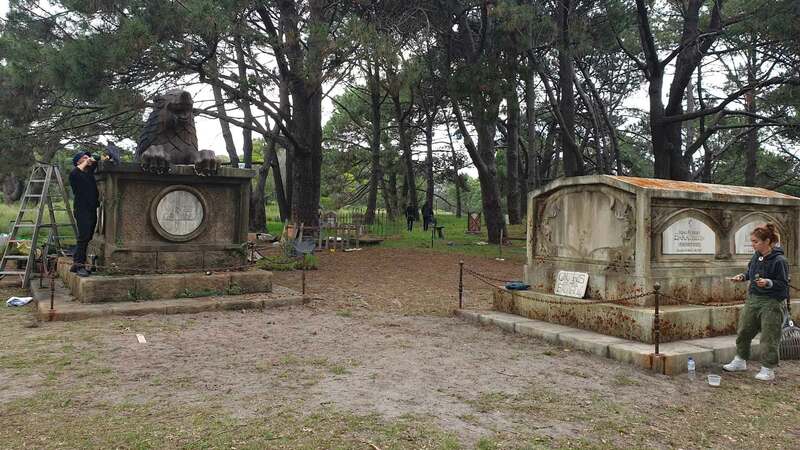 The cemetery is currently a bit of a work in progress, but we'll update you as soon as it's complete. It's not the first IRL teaser for the new season, either, a Iron Throne scavenger hunt took place earlier this month, with six sworded seats popping up around the globe.